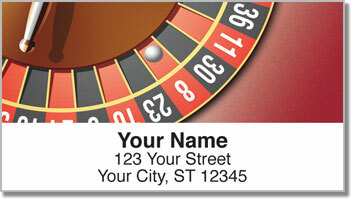 Spin the wheel and find out if Lady Luck is on your side tonight! 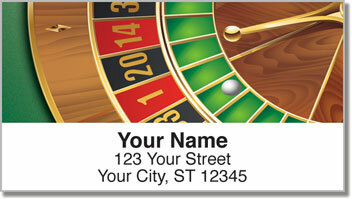 Roulette is one of the most exciting games on the casino floor. It gets your heart racing, adrenaline pumping and hopes high! Plenty of people have tried to figure out a system to beat the house, but your best bet is to take a gamble and cross your fingers as the little ball dances around the numbers. 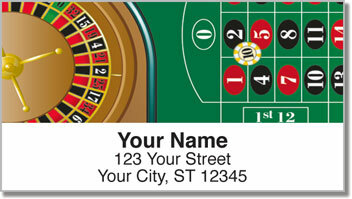 Roulette Address Labels from CheckAdvantage feature eye-catching images that will make your mail pop with the personality of a high-roller! Plus, they have a convenient self-adhesive backing. That means you'll never have to write out your name and address on another envelope again! 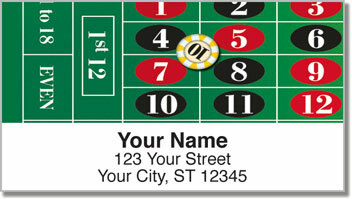 Get your very own Roulette Address Labels right now! Complete your order with matching checks.